Are we still in Level 4 drought? Yes, we are. 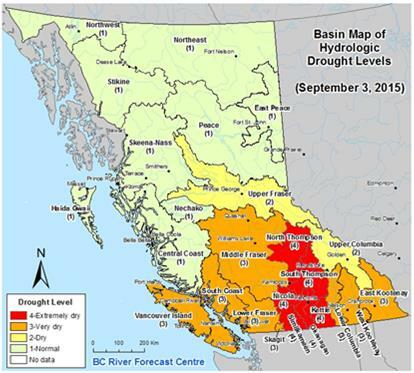 The River Forecast Centre and the Ministry of Forests, Lands, and Natural Resource Operations (FLNRO) have scaled back the drought levels for the Lower Mainland, and Vancouver Island, but we are still in Level 4, despite the few nice rains we’ve had. 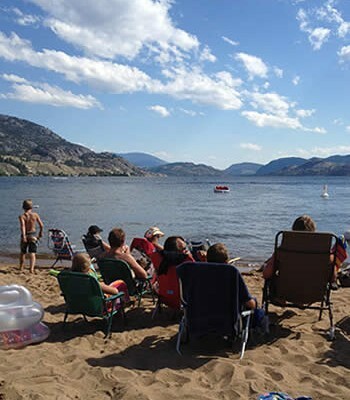 I have attached the notes from our recent Okanagan Drought Workshop in Kelowna, and welcome your feedback on how we can improve drought response locally, regionally, and at a provincial level. 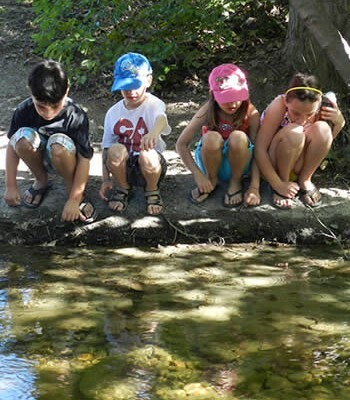 This year, the province’s drought response plan, including the declaration of the different drought levels and the focus on Section 9 of the Fish Protection Act as a regulatory tool, is closely linked to stream flows and fisheries needs. 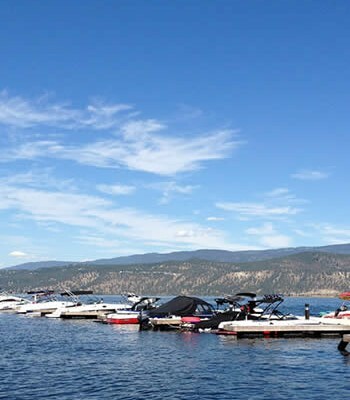 Here in the Okanagan, the levels of our reservoirs (including the main stem lakes) are also part of the overall drought picture, and one we’ll be watching closely as the year progresses. I’ve included information below about the different ways droughts can be defined. Our experience this year seems to best fit as an “hydrological drought.” If we have a dry winter, I expect that the province will have to expand their focus beyond stream flows to consider reservoir storage, dry-land farmers, and demand management in general, including “agricultural drought” and “socio-economic drought” in their response plans. In 2016, the province will expand their regulatory powers to include groundwater pumping, under the new Water Sustainability Act, which will also be a big change. 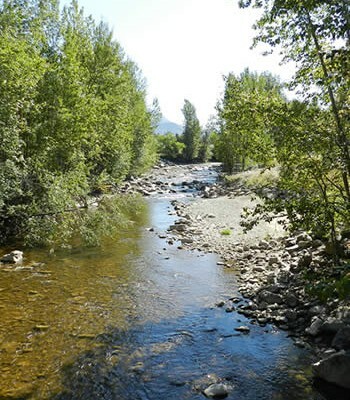 At the FLNRO, they are anticipating some easing of the “declared” drought levels as we move toward the end of the irrigation season (many of the irrigation licences are seasonal, ending on September 30th), and as the spawning kokanee and other fish are able to move up the streams. The biggest benefit of our recent rains was to increase the stream flows and cool the water, improving the spawning habitat and allowing fish passage. In many cases this year, low stream flows have been supplemented by reservoir releases, which is a good emergency fix, but which reduces water managers’ flexibility over the longer term. 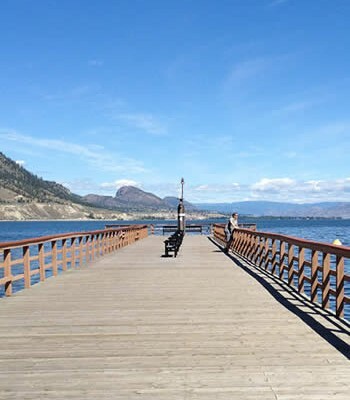 On the FLNRO drought call this week, they reported that many of the Okanagan streams that were on the watch list last week (including Peachland Creek, Powers Creek, Trepanier Creek, Mission Creek and Trout Creek) are now out of immediate trouble. Fortune Creek in Armstrong is still flowing very low – near 3% of the mean annual discharge, and they are looking at ways (including reservoir releases) to increase those flows. 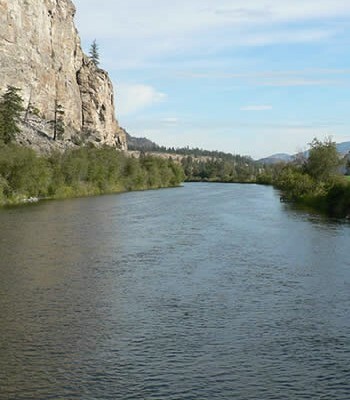 In areas around us, the Coldwater River is still under irrigation restrictions, and a number of creeks are being supplemented by storage. “In the 1980s, two researchers uncovered more than 150 published definitions of drought. In an effort to bring some order to measuring drought, the scientists grouped the definitions into four basic approaches: meteorological, hydrological, agricultural and socioeconomic. The first three categories track drought as a physical phenomenon. The last category deals with drought as a supply and demand problem, through the impacts of water shortfalls. Meteorological drought is specific to different regions. For example, 20 inches (51 centimeters) of rainfall in a year is normal in West Texas, but the same amount would be less than half the yearly average in Virginia. Agricultural drought accounts for the water needs of crops during different growing stages. For instance, not enough moisture at planting may hinder germination, leading to low plant populations and a reduction in yield. Hydrological drought refers to persistently low water volumes in streams, rivers and reservoirs. Human activities, such as drawdown of reservoirs, can worsen hydrological droughts. 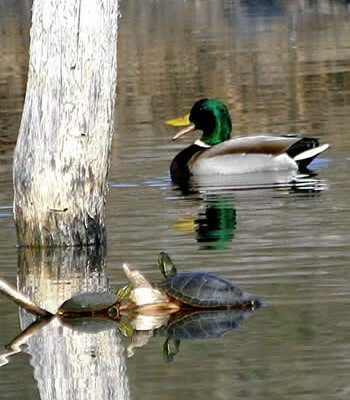 Hydrological drought is often linked with meteorological droughts. 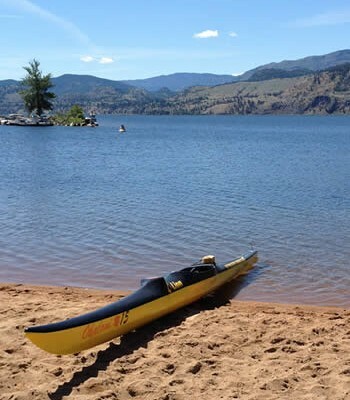 We expect to be providing feedback to the province on ways to improve the BC Drought Response Plan. The OBWB is also interested in working with local governments and water utilities to provide information and resources to improve local drought response. Please let me know if you have suggestions on how any of these can and should be improved.